AWP Computer Services offer a wide range of IT repair services in Preston and the surrounding areas. Whatever your PC or Laptop (notebook) Computer Repair problem is, please give us a call or contact us through our web site. We can visit your business or home, at a time to suit you, and solve most repair problems on site without needing to take your IT equipment away. Alternatively, if you’d prefer to bring your equipment and leave it with us, please give us a call or contact us through our web site to arrange a drop off time. 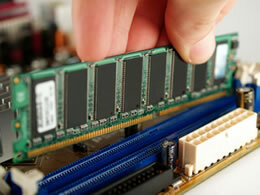 Most computer problems can be diagnosed and repaired on site. Often the problem is caused by software failure or a virus. However, if the problem is with the hardware it will still be very likely a replacement part can get your computer in good working order again. Before you buy a new PC or Laptop, please give AWP Computer Services a call. 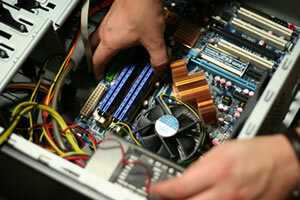 We may be able to get your IT equipment as good as new at a fraction of the cost. AWP Computer Services provide PC and Laptop Computer upgrade services for businesses as well as residential customers. If you feel that your PC or Laptop Computer is working slowly and needs a tune up, please call AWP Computer Services to discuss the problem. Often the purchase of a new computer can be avoided by upgrading important parts or the Windows Operating System and this can be done at a fraction of the of the cost of a completely new system. Depending on the cost of your original PC or Laptop Computer, is often likely that the manufacturer will have kept the initial specification to a minimum. However, there will always be a provision for improvements and upgrades to the memory and disk storage. Making this type of upgrade can often vastly improve your system’s speed and performance and give your equipment and extended life-span. We can help you with upgrades to the hardware, such as the memory and hard drives as well as to the essential software, such as the Windows Operating System. We can inspect your PC or Laptop Computer at your office or home and give an honest jargon free opinion about whether your system is worth upgrading, before you consider investing in a new one. Also, we’ll be on the look out for other issues, which may be making your computer slow, such as viruses, malware or conflicting software and if we diagnose these, it may be possible to improve your computers performance without even upgrading the hardware. AWP Computer Services have many years experience in the IT industry and have been working with Windows systems for more than 20 years. If you think your computer is struggling and could benefit from an upgrade, please call us or contact us through the web site and we’ll get back to you as soon as possible to arrange a FREE consultation.